Our Madras curry is inspired by the curries cooked in the city of Madras, now called Chennai, in the state of Tamil Nadu in the south of India. This region is famous for rich and spicy curries, predominantly flavoured with black pepper and tamarind. For allergens, see ingredients in BOLD. May also contain Peanuts, Nuts, Milk, Gluten-containing Cereals, Soya & Sulphites. This dish is named for the city of Madras - which is now called Chennai - and is the populous capital of the South Indian state of Tamil Nadu. This one is a spicy tomato based curry with the spices of coriander, cumin, turmeric and chilli. 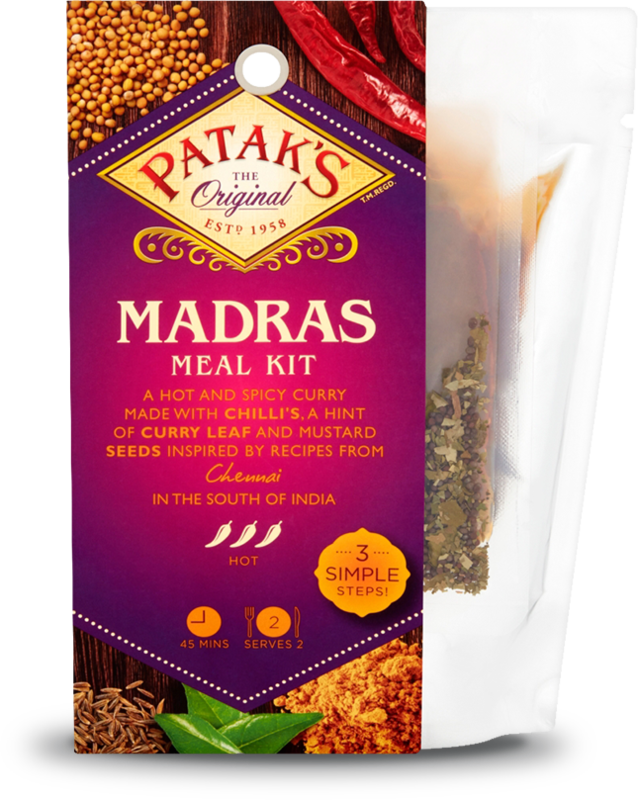 It is super easy, as I have used our new Easy Madras for 2 sachet. We have already blended the spices, therefore all you need to add is the beef, an onion, a can of tomatoes and some water. Too easy.... but amazingly good.